The Zanu-PF Masvingo provincial executive has set up a committee to investigate the identity of a group of individuals from the province who are believed to have been part of a group of people who booed the First Lady Dr Amai Grace Mugabe during the 9th Presidential Youth Interface Rally in Bulawayo on Saturday. Zanu-PF Masvingo provincial political commissar Cde Jappy Jaboon yesterday said action would be taken against party members from Masvingo who will be fingered in the booing of the First Lady. He was speaking at the end of a Zanu-PF provincial executive council meeting held at Benjamin Burombo Government complex. Cde Jaboon said the ruling party provincial secretary for security Cde Mutero Masanganise had since been appointed to lead the investigating committee. 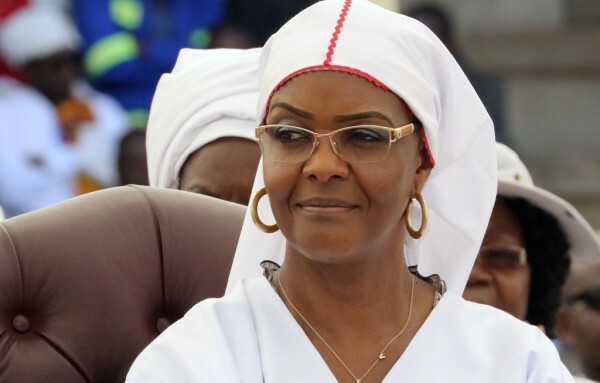 “We have appointed a committee to investigate circumstances behind the booing of the First Lady during the Youth Interface rally held in Bulawayo yesterday (Saturday),” he said. “We have information that there were some people from Masvingo among the group of people who booed the First Lady. Cde Jaboon said preliminary investigations had shown that some of the people suspected to have booed the First Lady were ferried from Masvingo using a Chibi High School bus. “A bus from Chibi High School was reportedly used to ferry a group of people from Masvingo who went to White City Stadium for the interface rally with the intention to embarrass the First Lady,” he said. Cde Jaboon reiterated that Masvingo province was solidly behind President Mugabe and the First Lady, adding that severe action would be taken against those who disrespect the First Family. He said Masvingo was united behind President Mugabe, save for a few individuals who were working against the President in the province. ‘’We are guided by the one centre of power principle in Zanu-PF and as Masvingo province we are solidly behind President Mugabe who is our candidate in next year’s presidential elections,” said Cde Jaboon. Meanwhile, Zanu-Pf leadership in Masvingo has reaffirmed its loyalty to President and First Secretary of the party, President Mugabe and First Lady Dr Grace Mugabe, distancing itself from “renegades” allegedly led by Zanu-PF chief whip, Cde Lovemore Matuke. In a press statement released after the new executive’s meeting at Benjamin Burombo board room yesterday, provincial information and publicity secretary Cde Darlington Chiwa said they fully supported President Mugabe and his wife, Dr Grace Mugabe and disassociated themselves from the suspended chairperson Cde Ezra Chadzamira. Cde Chadzamira was served with a suspension letter late last month by the national commissariat over allegations of fanning factionalism, tribalism and gossip, among other issues. He was suspended alongside Midlands Youth League secretary for administration Cde Justice Mayor Wadyajena, Masvingo youth political commissar Cde Brian Munyoro and vice chairperson for Midlands Province Cde Goodwill Shiri. Some of the executive members in Masvingo have stood by Cde Chadzamira, saying he had no case to answer. “We, Zanu-PF Masvingo provincial executive reaffirm the sovereignty of Masvingo province as a stand alone province whose loyalties are only to Zanu-PF, the President and First Secretary of the Party, Cde Robert Gabriel Mugabe and the Secretary of the Women’s League Dr Amai Grace Mugabe,” said Cde Chiwa, who is also Chiredzi West MP. Cde Chiwa the executive disassociated itself from Cde Matuke‘s rebellious group. “We want to completely dissociate ourselves from Matuke’s rebellious group that include Clemence Makwarimba, Paul Mangwana and Chadzamira,” he said. Cde Chiwa called on the party’s national disciplinary committee to charge the provincial executive “renegades” and force them to return party property and assets, including motor vehicles. “We call upon the NDC to urgently expedite disciplinary action against them. They should cease to misrepresent the party as they are doing by convening unconstitutional and illegal meetings,” he said. Politburo member and provincial vice chairman Dr Daniel Shumba said he was in support of the stance taken by the new executive. Foreign Affairs Minister, Dr Walter Mzembi said those suspended should face the music. “We want cadres who are accountable to their party,” said Dr Mzembi. “We call for the visitation of the provisions of the constitution on the renegades. We were once suspended and respected the party constitution.